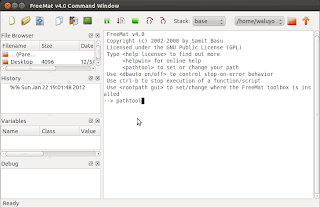 FreeMat is a free environment for rapid engineering and scientific prototyping and data processing. 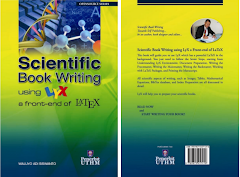 It is similar to commercial systems such as MATLAB from Mathworks. If you don't have FreeMat installed, you can refer here how to get FreeMat. The folder where you save the m functions should be defined in FreeMat path. 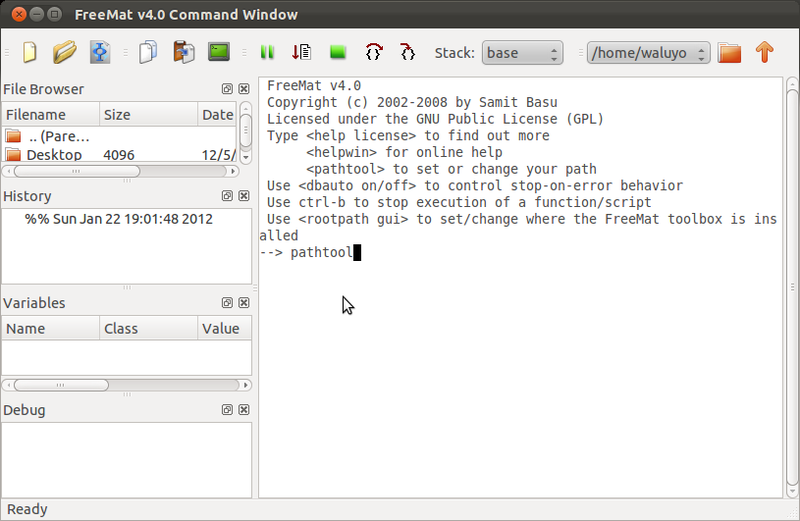 The tool to integrate m-function folder in FreeMat is pathtool. (b) Find the folder where you save your m files (for example m-functions) on the left box, then select Add, Save then confirm it by pressing Done. Restart FreeMat to completely integrate the m files path. After restarting FreeMat, it can access and use the m files located in the folder (in this example the name of the folder is m-functions). thanks for sharing this useful post...!! !